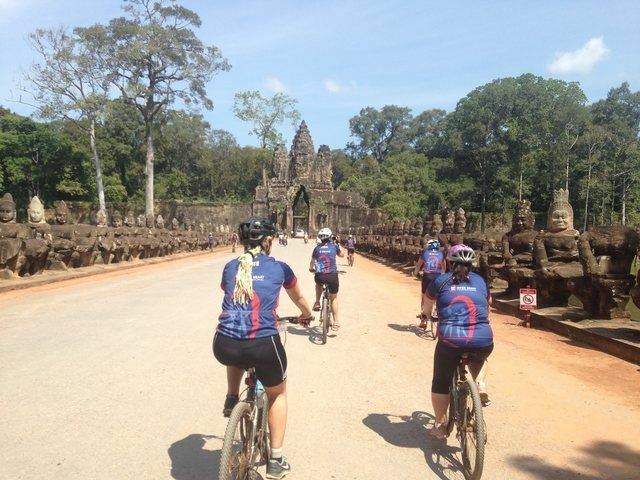 Ready, Set, Ride… and keep on riding for another 400km, and in fact just ride all the way from Vietnam to Cambodia! Why do such a thing you ask? To accomplish something far greater than conquering a massive ride, but in the effort to raise money for Open Heart International. 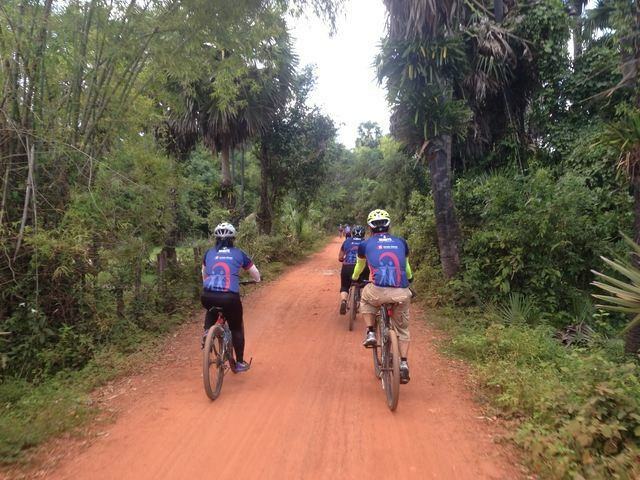 You may have seen a few pictures on our social media of some pretty special people riding through Cambodia. Last week 12 cyclists set off on a week journey all in the efforts to raise money for Open Heart International. What better way to suffer a little when it helps these little heart operation children so much! I don’t know about you, but just the thought of riding that far, in the sweltering heat of Vietnam and Cambodia makes me light headed. 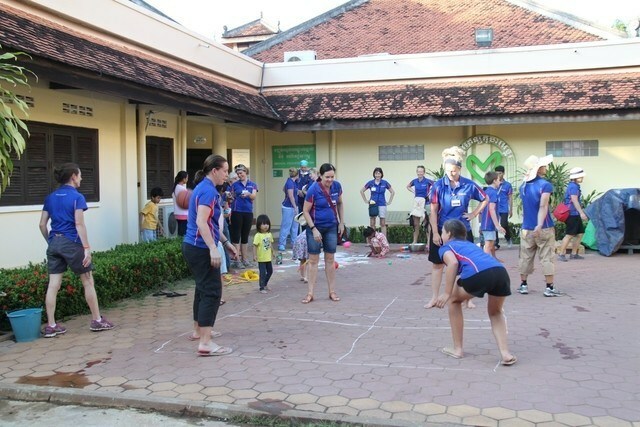 So congratulations on not only making it to Cambodia, but for raising in excess of $35,000! One of our bike riders, Narelle, raised $6,000 alone! After reaching the end of their grand expedition, we decided to treat them with a foot massage…just kidding; we had something much more exciting. 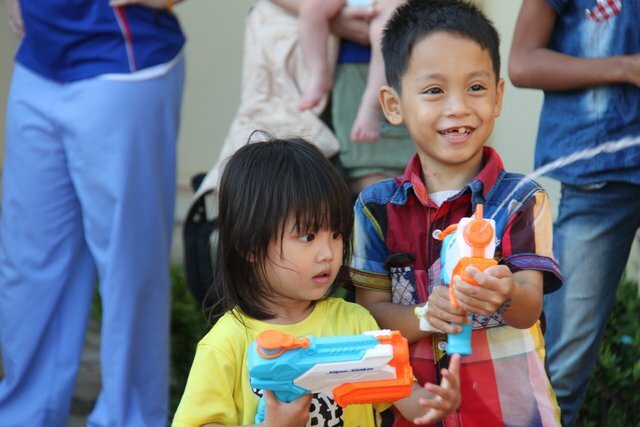 On arrival at the hospital we equipped the heart op kids with water guns and ambushed them with the greatest and funnest way to cool off… a water fight! 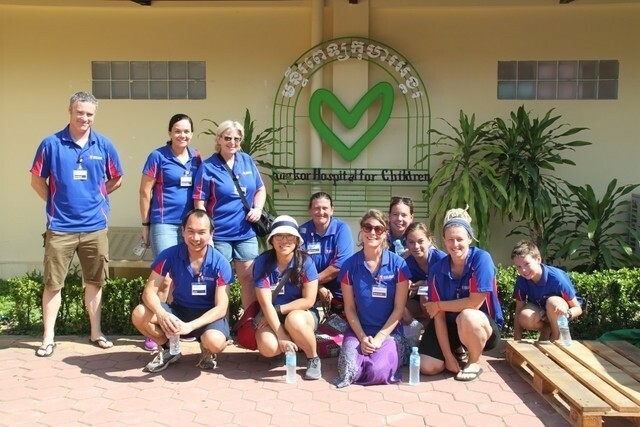 After an extravagant water fight and a tour of the hospital, the OHI volunteers joined forces with the bike riders for dinner and many contrasting stories of heart operations and bike rides, but all with the same mission. 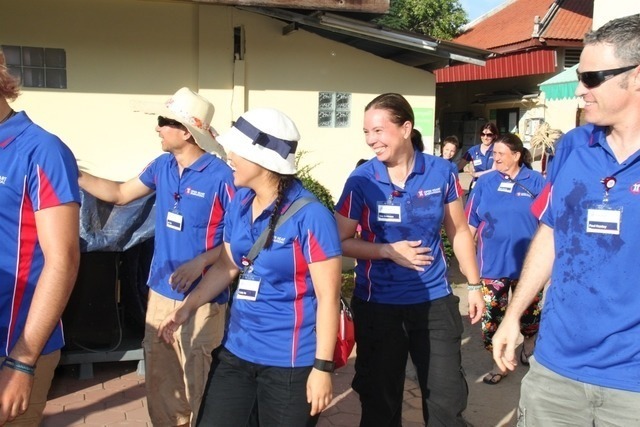 It was great to celebrate their accomplishments with them, and to give them an insight into how their fundraising has made such a difference here in Cambodia. 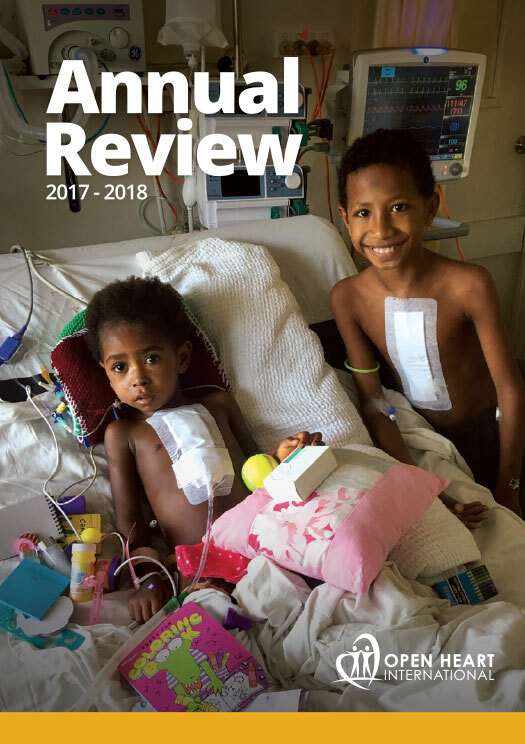 In other news two children have already been discharged and sent home after a successful heart surgery and recovery, only three days left and the end is in sight for our wonderful volunteers.